How many episodes of Beverly Hills, 90210 have you seen? Q: What was Dylan and Brendas song? 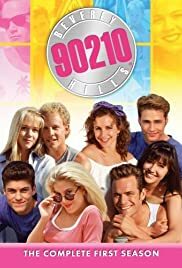 Before Dawson's Creek, Felicity and Freaks and Geeks hit screens, there was an equally-popular Teen Drama show called "Beverly Hills, 90210". Now, 10 years after it's entrance, after being put up against Dawson's and Felicity, the show has finally had to admit defeat.